Infant Touch and Massage is an effective and proven paradigm of developmental support that fosters parenting skills through dynamic social and communicative experiences. This paradigm is family-centered and flexible to meet a family’s ever-changing needs, a distillation of over 30 years of experience teaching touch and massage to families with babies and children in early intervention in hospitals, community settings, and home visitation. DONA International certification is a widely respected measure of quality and professionalism. We are an international, non-profit organization of doulas that strives to have every doula trained / educated to provide the highest quality / standards for birth and/or postpartum support to birthing women and their families. The goal of ProDoula is to elevate the role of doulas to a professional level in the eyes of expectant parents, medical professionals, and doulas themselves while providing people of all demographics a rewarding career opportunity. ProDoula provides the necessary training, guidance and mentorship to its members to successfully complete the coursework involved in becoming a certified doula. Share Pregnancy & Infant Loss Support is a community for anyone who experiences the tragic death of a baby. We often serve parents, grandparents, siblings, and others in the family unit, as well as the professionals who care for grieving families. Share is a national organization with over 75 chapters in 29 states. Our services include bed-side companions, phone support, face-to-face support group meetings, resource packets, private online communities, memorial events, training for caregivers, and so much more. Should you need them, we hope you can also benefit from at least one of these many resources. The National Council of Jewish Women New York Section is a volunteer organization that has been at the forefront of social change for over a century. Inspired by Jewish values, NCJW New York Section courageously takes a progressive stance on issues such as child welfare, women’s rights and reproductive freedom. The purpose of The Smiling Mask is to create awareness, understanding, and acceptance of postpartum difficulties; to bring peace and validation to mothers and fathers by engaging and empowering families, and communities in the life changing and natural experience of parenthood. We’ll get you empowered by providing on-line webinars and educational events, forums that cover fertility, conception, pregnancy, labor, delivery and parenting and more. We also offer podcasts, blogs, articles, pregnancy calendars and bbt charts. Our tools enable you track your fertility, fetal development and growth of your wee one. We have an extensive video library that covers from getting pregnant to baby and beyond. 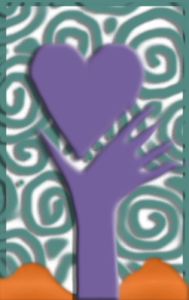 We have been training doulas, postpartum doulas, cbe’s, breastfeeding educators, and midwifery assistants since 2001. We believe in supporting and developing relationships with our students through the education process. We have trained birth workers all over the world, assisting them in supporting women in the communities they live in. We offer the most extensive holistic and evidence based programs available and work to make birth better world wide. Students can train at workshops, through distance learning and eLearning in English and Spanish. Operation Special Delivery is committed to offering discounted labor support services and increasing access to quality labor doula care to all qualifying military service members and their families. Through collaboration with trained and professional labor doulas from around the world and across a variety of certification organization, OSD is committed to providing the highest standard of professional doula care to our service men and women. The purpose of the CAPPA lactation educator program is to provide childbirth professionals comprehensive training in breastfeeding education. When a candidate completes the certification program they will be qualified to teach, support, and educate the public on breastfeeding and related issues. When all requirements have been satisfactorily completed, candidates will be issued the CAPPA credential, Certified Lactation Educator. Waterbirth is felt by mothers and providers alike to be the gentlest of gentle births. Warm luxurious water to cradle you and give you complete freedom to move during the greatest achievement of your life. Read the comments on the pages of this site – “In Mother’s Words” – The women who have experienced the support and comfort of water for their labors and held their newborns in their arms speak more than any scientific article or paper on the subject. At Breastfeeding Inc., our aim is to empower parents by ensuring they receive the most up-to-date information to assist them with their breastfeeding baby. We strive to provide them this information through breastfeeding resources which include, but are not limited to, free information sheets, video clips, and articles. Some resources, such as books, protocols and videos can also be purchased through the website. Healing Hearts Baby Loss Comfort was created in response to the reality that some pregnancies do not end happily. At Earth Mama Angel Baby we get to see the joyful side of pregnancy, but we also deal with all of the real issues, from the physical discomfort of morning sickness, anxiety, and hemorrhoids to the heartbreaking pain of baby loss. We wanted Healing Hearts Baby Loss Comfort to be a place for women to feel comfortable looking for real, physical comfort, herbal remedies and spiritual nurturing, as well as a space to find resources, honor their grief and express their loss. The Holistic Moms Network™ is a 501(c)(3) non-profit organization connecting parents who are interested in holistic health and green living. We encourage moms to trust their instincts, parent from the heart, use their innate sense of what is best for their children, live in balance with the Earth, and learn about the pros and cons of all healthcare and parenting options. Living healthy and living green is not an endpoint, but an ongoing journey. No matter where you are on your parenting or holistic living journey, you are welcome at HMN! The first national program that prepares families with dogs for life with baby! FAMILY PAWS™ offers, positive, practical and fun solutions for families preparing for baby. Our program clears up myths, emphasizes realistic expectations and sets families and their dogs up for success before baby arrives! Ancient Art Midwifery Institute is fundamentally dedicated to the promotion of midwifery as more than a contemporary profession. Midwifery really is an ancient art and we should not ever forget that there were smart, caring women who came before us. Our generation did not invent the rights of a mother to give birth where and with whom she chooses, nor did women completely forget the instincts that allow them to have healthy births as non-medical events all over the world. We want to be known as someone who did what we could to hold the door open for the next generation of smart, caring women who practice the ancient art of touching the future. Postpartum Support International is dedicated to helping women suffering from perinatal mood and anxiety disorders, including postpartum depression, the most common complication of childbirth. We also work to educate family, friends and healthcare providers so that moms and moms-to-be can get the support they need and recover. Women of every culture, age, income level and race can develop perinatal mood and anxiety disorders. Symptoms can appear any time during pregnancy and the first 12 months after childbirth. There are effective and well-researched treatment options to help you recover. Although the term “postpartum depression” is most often used, there are actually several forms of illness that women may experience.